Your trademark is a powerful representation of your business in the marketplace, and it brings with it certain responsibilities and protections. As part of these, you should be familiar with the concept of trademark oppositions. An opposition is a formal process where an objection can be lodged against someone else’s trademark being registered with IP Australia. You may need to be involved in a trademark opposition, either as an applicant who receives an opposition or as an opponent filing an objection. It’s important to understand the intricacies behind the concept, so you’re fully informed in case someone does wish to object to your trademark or you feel you are justified in objecting to someone else’s application. It’s also worth noting that oppositions can be time-consuming and sometimes costly, and successful opposition is not the same as preventing infringement of your trademark. Allegations of trademark infringement may take place during an opposition proceeding, however, the two are separate actions with infringement action taking place through court rather than through IP Australia, who have the jurisdiction to decide an opposition. Considering the complexity and specialised nature of most oppositions, whether you’re considering filing a trademark opposition, or have found an objection lodged against your trademark, we strongly recommend getting the advice and services of a professional intellectual property expert. Whilst you are allowed to represent yourself in an opposition proceeding, doing so and making a mistake can have negative consequences that can be difficult, sometimes impossible, to rectify. WHY WOULD SOMEONE OPPOSE A TRADEMARK? The Trade Marks Act 1995 sets out the relevant grounds that someone may rely on to oppose a trademark. They believe the trademark is very similar or even exactly the same to an already registered trademark, and they feel they have a superior claim over it. They believe the trademark may cause confusion in the marketplace or interfere with the reputation of their trademark. They believe the trademark applicant is not the actual owner of the trademark. They believe the application was filed in bad faith, which can happen where, for example, someone in Australia has identified that an overseas brand hasn’t been protected here. They will put in an application, even while knowing that they shouldn’t be filing for that particular trademark, and knowing that they’re not the correct and rightful owner of it. If it is believed that the trademark may be contrary to law – for example if the trademark will break someone’s contractual obligations or that use of the trademark would mislead consumers in some way. Typically an opposition happens when a person believes the filed trademark is somehow confusingly similar to their own brand or rights. Most oppositions will have a direct relationship to the classes of goods or services of the application. However, for example, a large, well-known brand such as Coca-Cola Australia may wish to oppose someone registering a trademark with ‘coca cola’ in it, even if it is in a different class of products or services because it is likely to cause confusion in the marketplace in view of their reputation. There are other reasons why someone might lodge the initial Notice of Intention to Oppose a trademark to start the process. For example, if someone believes a trademark may be too descriptive or generic, then they can file a trademark opposition on the basis that one person shouldn’t be given exclusive rights to that descriptive or generic name as other traders should be allowed to use that term if it is not able to distinguish the applicant’s goods/services from the similar goods/services of others. WHEN CAN YOU FILE A TRADEMARK OPPOSITION? You are only able to lodge an opposition to a trademark once it has been accepted for registration by IP Australia. There is a specific period of time in which you can oppose a trademark – once it has been approved by IP Australia, they will advertise the fact it’s been approved and from the date of that advertisement everyone has a two month period in which they are able to file a trademark opposition. Note that you will not always be directly notified by IP Australia if a similar trademark to yours is approved in order to file opposition in time. You will, however, be notified if the later application has successfully overcome your trademark during the application process. Generally it will be by monitoring the trademark database and journals that you will learn a similar trademark has been advertised. This is generally done by an IP professional or solicitor, and they can provide these services as part of their ongoing work for you. Any trademark that has been accepted for registration can be opposed during the two month opposition period. In some circumstances it is possible to obtain an extension of that time-frame, however, extensions should not be relied on as there is no guarantee they will be granted. An application for an amendment to a trade mark application. HOW DO YOU FILE A TRADEMARK OPPOSITION? A full opposition proceeding can be lengthy and complicated, and having an industry professional attend to it for you can help minimise hassle for you, as well as ensure it is handled correctly. You will need to file a Statement of Grounds and Particulars. This is a more detailed document, and is where you need to provide more information about the opposition you wish to lodge. You must advise the sections of the Act that you intend to rely on in your opposition, as well as provide a brief explanation as to why you feel those grounds are relevant in your opposition. It will also let you apply for an award of costs at this time in the event you are the successful party. The Statement of Grounds and Particulars must be filed within 1 month after you have lodged the Notice of Intention to Oppose. If you do not get around to submitting this statement within 1 month (or obtain an extension of time), change your mind or simply forget, there will be no opposition and the applied for mark will continue to registration. The trademark applicant is then given an opportunity to defend the opposition, which they need to file notice of their intention to defend the opposition within 1 month of being provided a copy of the Statement of Grounds and Particulars. If they do not file a notice stating that they wish to defend, then their trademark lapses. If the applicant chooses to defend the opposition, each side is given an opportunity to file evidence to support their position. The evidence phases also follow strict time-frames. Following evidence stages (unless the matter is resolved or dismissed sooner) a decision needs to be issued. This can be a written decision based on evidence and submissions filed, or either party can request an oral hearing before a decision is issued. Typically an award of costs is issued against the unsuccessful party in an opposition proceeding. Such award usually follows a decision being issued, so if a party withdraws earlier in the process there may not be any costs to claim. Further, an unrepresented person may not have the ability to obtain the award of costs in the same way as a represented person, unless they can demonstrate they did incur such costs for obtaining assistance/advice during the proceeding. Costs are awarded in accordance with a scale set by the Trade Mark Regulations 1995. A request for a cooling off period can be submitted by the parties (if both sides consent) once the Statement of Grounds and Particulars has been filed. This is used generally if the parties are involved in negotiations with the view of resolving any dispute before involving themselves in the more complicated and costly stages of the process. The initial period of cooling off is 6 months (although this can be discontinued earlier), with a further extension of 6 months if required. The cost of the overall trademark opposition process will depend on whether you undertake it by yourself or use the services of an intellectual property expert. We always recommend people seek the advice and assistance of a solicitor or trademark professional simply because the process can be a complicated and protracted one, with the possibility of serious ramifications even when simple or purely technical mistakes are made. It is perhaps even more important to consider representation if you know the other party is represented. Costs may also be determined by whether the parties appear to be able to reach an amicable outcome between them early in the process so as to avoid the full opposition proceeding continuing all the way to a decision. When engaging a trade marks attorney or other person to assist they also fluctuate depending on the volume of each party’s evidence, whether written submissions are required for consideration in the ultimate decision, whether a hearing is requested and whether additional services (such as those of a barrister or investigator) are necessary. There are fees for lodging documents with IP Australia, and these range from monthly extension of time fees of $100 per month a $250.00 fee for filing of a notice of intention to oppose (when opposing the registration of a trademark) and to $600 if you wish to request a hearing or attend one requested by the other side. As noted above, professional fees can vary based on many factors. Typically a represented opposition proceeding through Quick Off the Mark (from start to decision being issued) could see $5000 – $15,000 in costs – occasionally but not normally they could be higher. The higher end of this range would be in the case of a fully contested opposition proceeding that does include decent volumes of evidence, drafting of legal submissions and representation by a barrister at a hearing prior to decision being issued. There are certainly ways to keep these costs at the lower end, however, this can mean skimping on certain parts of the process. Every case is different and in some cases there will be a stronger recommendation for attendance and representation at a hearing for example, whereas others this may not be as necessary. Often this is determined by who the other party is and the level of representation that are investing into during the process. As the process is lengthy (usually a minimum 18 months before a decision is issued) and takes place in stages, these sorts of fees will not be payable upfront but are staggered across the process. WHAT SHOULD YOU DO IF YOUR TRADEMARK IS OPPOSED? The first thing we recommend you do is to seek professional advice. This will help prevent any knee-jerk responses, as well as set you on the right path to protecting your trademark. Initial advice can help you determine at a preliminary stage whether or not the opposition may have some merit to it and your options. Once the other side reaches the point of filing their statement setting out the reasons for the opposition, we can then examine the history of the trademark, setting out a valid response and defence and at this time may be in an even better position to advise on the likelihood of successful defence to the opposition. 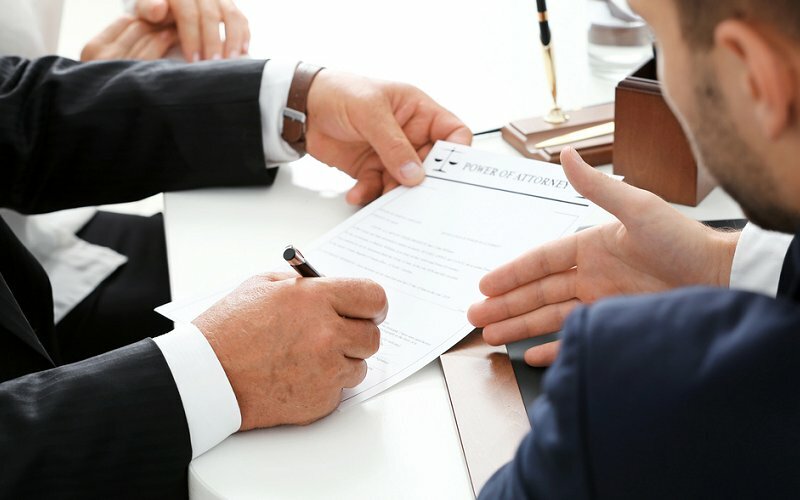 In situations where we might determine the opposition is likely to succeed and your trademark likely to be rejected, we can enter negotiations with the other party on your behalf to, hopefully, reach a reasonable outcome without having to go through the stress, time and cost of an opposition proceeding. Taking the time to speak to an expert will save you worry, as well as protect you and your trademark from potential mistakes or allowing your trademark to be opposed without realising it.